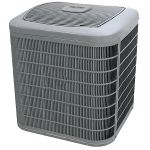 Whether you need AC repair on a hot, muggy day in July or you just need regular air conditioning system maintenance, we want to be your only choice for Houston air conditioning repair and service. As we all know, summers in Houston can be brutally hot, and the thought of being without a working air conditioner is a scary one, indeed. That’s why Air Specialist is here! 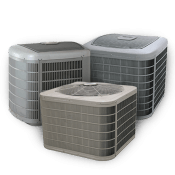 As a matter of fact, Air Specialist has been keeping Houston families cool since 1970, so you know you can count on our techs to get your A/C system running smoothly again in no time. When it comes to air conditioner repair and service, we’ve got you covered. At Air Specialist, we’ve been serving the Houston metro area for more than 48 years. Your family’s comfort and satisfaction is our number one goal, and it shows in everything we do. Our AC technicians are NATE certified and go through continuous training to keep up on the latest home comfort technology. We know the equipment inside and out. So, regardless of what your air conditioner problem is, it’s likely that we’ve seen it before. At Air Specialist, we back up the work we do with solid guarantees and warranties. And you can get year-round peace of mind with our HVAC maintenance agreement. 24 hours a day, seven days a week, we’re ready to handle your metro Houston emergency air conditioning repair service. So, don’t waste a minute sweltering in a house without air conditioning. Call us or schedule online – any time! We stock air conditioners in many sizes to fit every home and budget. As an authorized dealer, we are held to the highest possible standards of excellence. Heat pumps can work alone to heat, cool, and humidify your Houston area home. They work all year to keep you comfortable.